In this report, LP Information covers the present scenario (with the base year being 2017) and the growth prospects of global Resveratrol market for 2018–2023. Resveratrol is a stilbenoid, a type of natural phenol, and a phytoalexin produced naturally by several plants in response to injury or when the plant is under attack by pathogens such as bacteria or fungi. Sources of resveratrol in food include the Synthetic, blueberries, raspberries, mulberries and senna. These companies occupied 80.49% of the global production in 2016. The production of Resveratrol will increase to 131.05 MT in 2017 from 90.99 MT in 2012 with average growth rate of 7.57%. China is the largest production region with rich raw material source. The global consumption value of Resveratrol increases with the 5.59% average growth rate. USA is the largest consumption region due to the bigger demand of downstream applications. In 2016, these this region occupied 54.39% of the global consumption value in total. Resveratrol products mainly include three types, which include Synthetic, Fermentation and Plant Extract. And each type has application industries relatively. The application include Dietary Supplement, Cosmetic and Food and Beverage, the downstream application industries will need more Resveratrol. So, Resveratrol has a huge market potential in the future. Manufacturers engaged in the industry are trying to produce good performance Resveratrol through improving technology. The major raw materials for Resveratrol are Reynoutria japonica Houtt root and other auxiliary materials. Fluctuations in the price of the upstream product will impact on the production cost of Resveratrol. The production cost of Resveratrol is also an important factor which could impact the price of Resveratrol. The Resveratrol manufacturers are trying to reduce production cost by developing production method. Over the next five years, LPI(LP Information) projects that Resveratrol will register a 9.9% CAGR in terms of revenue, reach US$ 86 million by 2023, from US$ 49 million in 2017. 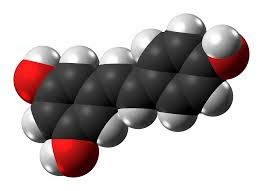 This report presents a comprehensive overview, market shares, and growth opportunities of Resveratrol market by product type, application, key manufacturers and key regions. To study and analyze the global Resveratrol consumption (value & volume) by key regions/countries, product type and application, history data from 2013 to 2017, and forecast to 2023. To understand the structure of Resveratrol market by identifying its various subsegments. Focuses on the key global Resveratrol manufacturers, to define, describe and analyze the sales volume, value, market share, market competition landscape, SWOT analysis and development plans in next few years. To analyze the Resveratrol with respect to individual growth trends, future prospects, and their contribution to the total market. To project the consumption of Resveratrol submarkets, with respect to key regions (along with their respective key countries).